Strengthen public health information systems through sustainable and scalable free and open source solutions. The vision is operationalized through a mission based on 4 foundational principles. We believe that "airplanes don't fly, airlines do." This implies that technology on its own cannot do much, but requires various social, technical and institutional elements to come together and harmonized to achieve effective results. This emphasizes collective rather than individual based action and believes we learn best in collectives rather than as individuals. A key focus of our efforts is on enabling networks through the sharing of ideas, experiences, best practices, software products, and training material across the different entities at various levels (global, national, sub-national) engaged in similar action. Working with open source solutions and ideology is core to enabling collective action. It is foolhardy to attempt new solutions from scratch. Users are habituated in working in certain ways, with existing practices, protocols, artifacts and routines. The implication is twofold. One, transitions to new way of working has to be carefully and sensitively thought through. Two, existing ways of working are not all wrong and ineffective, and as designers, we need to seek to understand what are the positive existing practices, and how can these be incorporated into the new system being designed. This implies that we cannot try to adopt global products and practices with out them being sensitively adopted into local socio-technical contexts. Context which reflects existing technical, institutional and cultural conditions, implies a global solution cannot be universally applied across all settings, but needs to be tailored and cultivated in particular settings. Principles of participatory design is key to understanding context, and ensuring they are proactively considered in the system design. 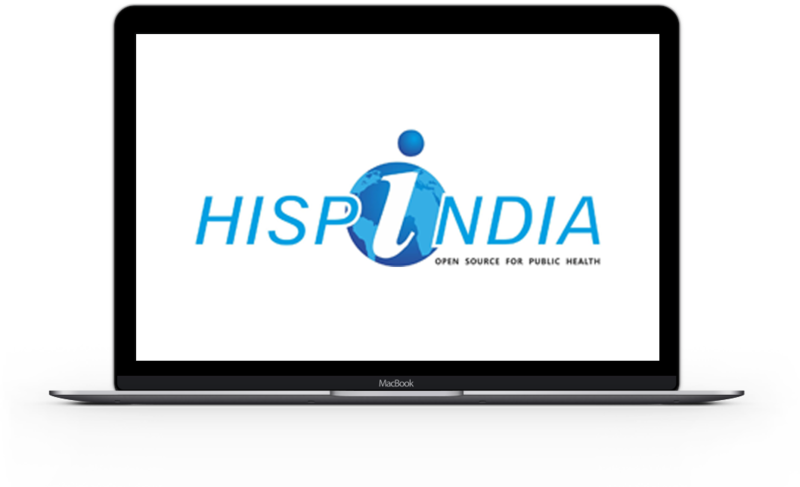 HISP India is not for profit organization working in the space of public health informatics within the Indian public health system since 2000. HISP India is a key node in the global Health Information System Program (HISP) network coordinated by Department of Informatics, University of Oslo, Norway and works on several collaborative projects with them. HISP India started as a loose network of like-minded individuals. They combined their knowledge about software design, development and implementation with the analysis, interpretation and use of health indicators. HISP India is currently a team of about 40 people, organized over two clusters; technical (software development, testing, server/system admin); and, public health. Together, this team brings in solid experience in implementing information systems within a health systems framework in India and abroad. The team comes with competencies in conducting requirements analysis, design and development, testing, capacity building, system implementation, documentation, website development and infrastructure management including servers and data centers. HISP India is an ISO 9002:2015 certified organization and the hospital application developed by them is REDHAT compliant. HISP India's core expertise is broadly in the domain of public health informatics, and specifically concerning the design, development, implementation, and support of DHIS2 based applications for governments in India and other South East Asian countries(e.g. Nepal, Bhutan, Bangladesh, and Sri Lanka) and international organizations (e.g. WHO,PATH,CHAI, and various others). HISP India is one of the oldest and most proactive partners in the global HISP Network and has worked in Nepal, Bangladesh, Bhutan, Sri Lanka, Indonesia and Tajikistan. HISP India has a collaborative MoU with the University of Oslo (UiO) and jointly works on various DHIS2 related projects, including in the conduct of International DHIS2 related topics in India, HISP India trainers act as resource persons for other global academies in Africa and Asia. In addition to DHIS2, HISP India also has experience in building non-DHIS2 based systems for Human Resources, Hospitals (based on OpenMRS), MHealth, ODK, and integrations across these systems. A17, Ground Floor,Sector 4,Noida-201301, Uttar Pradesh, India.